This goes to all women out there. I salute all of you for being tough and for continuing to be tougher each and every day. We all face different battles and it’s amazing how all of you can handle anything. May you always bear in your minds that you are beautiful, you are precious, and you are worthy for the kind of love you wish to have. GIRL POWER. 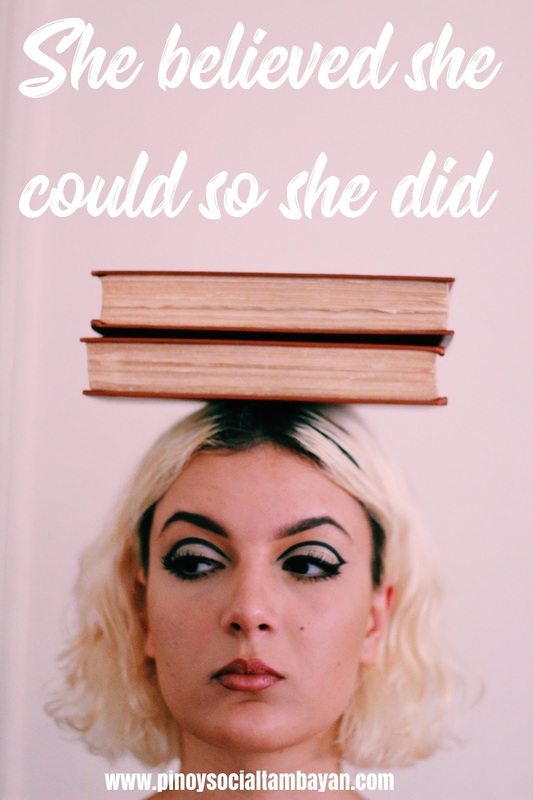 She believed she could so she did. It is just a matter of mind setting. If you set your mind and heart on the positive things, then positivity will flow in; law of attraction. So, you are facing challenges and trials right now, you just have to be positive that you can do it and you can surpass it all. You go girl! DESERVING. A woman is unstoppable after she realizes she deserves better. Each and every woman deserves to be loved and be treated right. But sometimes, some women are blinded by their love to their man that although they are mistreated, they still stay and stick to the relationship. But once a woman wakes up to reality and realizes her worth, no one could stop her from loving herself more and leaving toxic people behind. To every woman out there, know your worth. SUCCESSFUL. A successful woman is the one who can build a firm foundation with the bricks others have thrown at her. Instead of worrying and feeling down with the negative things people will throw at her, she uses it as motivation to do better and be better. Because worrying and doubting herself won’t help her in achieving her dreams. I salute all women who stayed strong and is stronger now despite of all negative things around her. 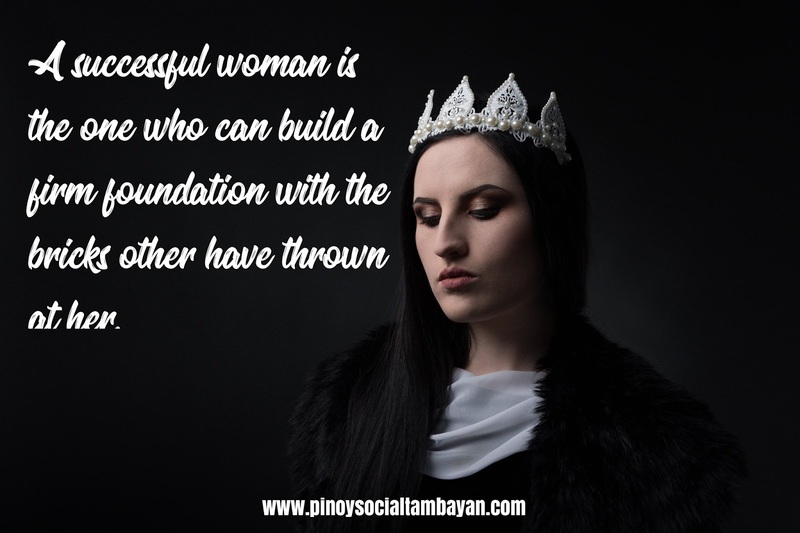 For more Encouraging Quotes for Women , feel free to visit and follow our Official Facebook Page https://www.facebook.com/phquotestagalog/ and our Official Twitter Account @PinoyQuotes365 . 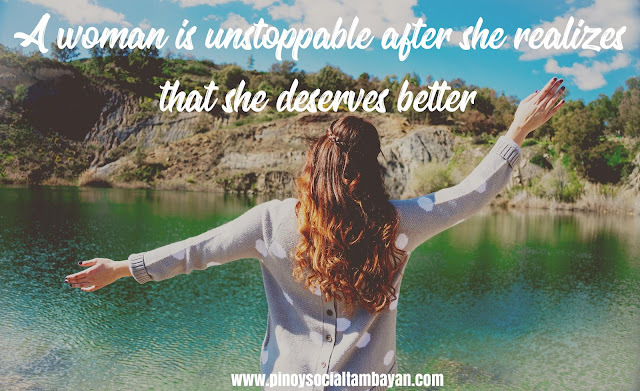 For more Pinoy Quotes, Love Quotes, Jokes, and Hugot Lines visit us again here at https://www.pinoysocialtambayan.com/ and at our Facebook Page and Twitter Account.